The U3A (University of the Third Age) is a non religious and non political organisation. Its charitable purpose is the advancement of education, and in particular the education of older people and those who are retired from full time work, by all means including associated activities conducive to learning and personal development. No entry qualifications are needed and no qualifications given. The U3A is different from most other adult learning organisations. Rather than paying people to teach, members are encouraged to share their knowledge and talents with other members. As a result interest groups are formed covering a wide range of topics and activities as shown on the left. Groups meet during the day at various venues in the village. Group leaders give their time voluntarily as no one in our U3A is paid. 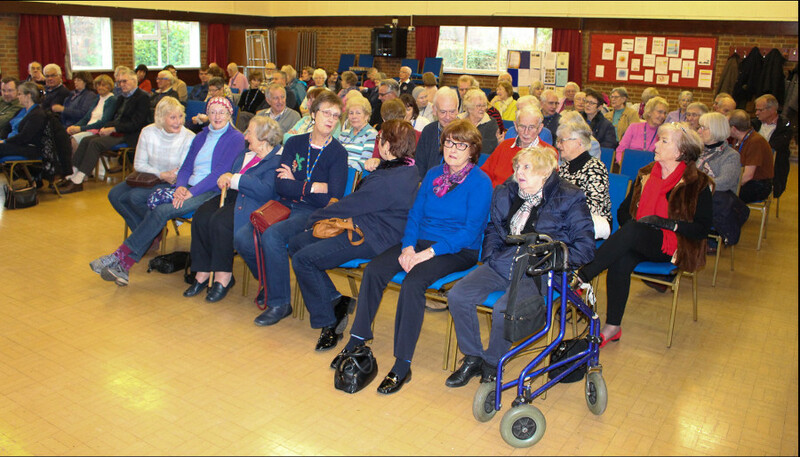 Balsall Common U3A has over 350 members and 33 interest groups. We have a monthly core meeting on the first Thursday afternoon of each month with a guest speaker. Meetings start at 2pm. at St. Peters Hall, Holly Lane, Balsall Common, which has easy wheelchair access, free off road parking, and an induction loop for those who use a hearing aid. The cost of membership for 2019 is £12.50 per year (£6.00 if you join after 31st May) with some groups making a small additional charge to cover the cost of room hire and refreshments. We offer the opportunity to make new friends, learn a new skill, visit places of interest or take up a new hobby. Why not come along and see us? For information about the U3A or becoming a member please click on this link New Member. To download a Membership Enrolment form please click here. Prospective members are most welcome to attend our Core Meetings.